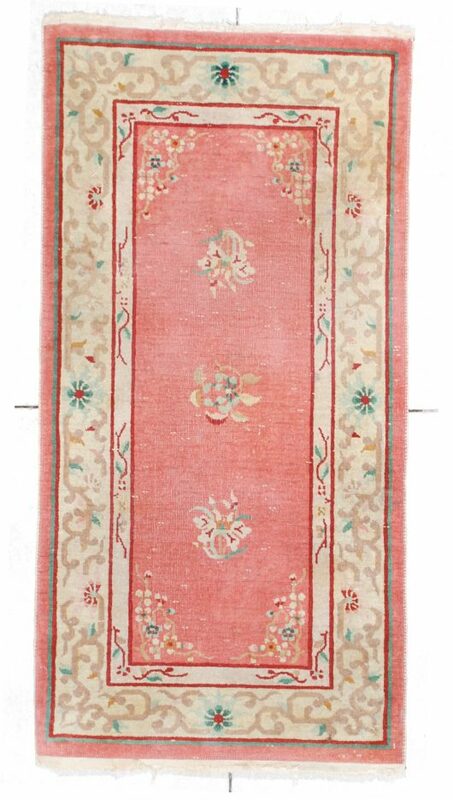 This circa 1930 Art deco Chinese rug measures 3’6” x 5’0”. It has a bubblegum pink field with three flower sprigs going up the center of the field and flower bouquets in the corners in green, ivory and red. 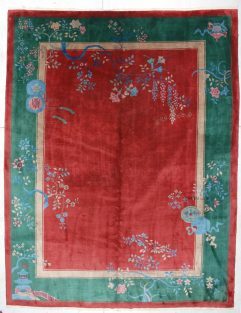 It has an minor border outlined in red filled with flowers and an outer major border in ivory outlined in red and green filled with flowers in red, green and pink. 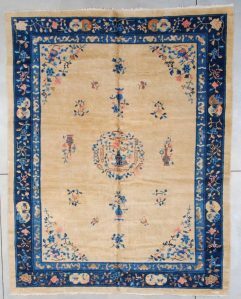 The condition is good with some slight wear to the rug. 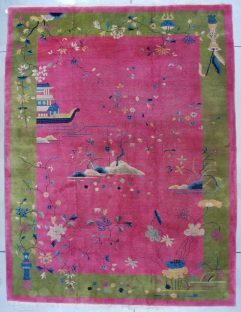 This is one of a pair of 3’6” x 5’0” rugs which I have listed. 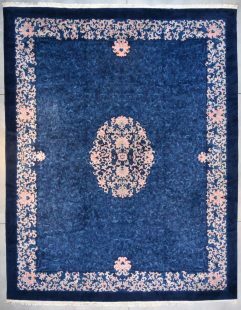 I also have a matching runner listed in another of my sales. Please see my other sales if you are interested in the companion pieces. The buyer pays the shipping and insurance of $50.